Founded in 2001, ERRECOM works to develop new solutions to the problem of refrigerant gas leaks from Air Conditioning and Refrigeration systems. Made in Italy, ERRECOM is available in 92 countries across the world. EXTREME LEAK STOP FOR AIR CONDITIONING AND REFRIGERATION. In the A/C and refrigerant systems EXTREME, both Automotive and HVAC, Extreme stops the refrigerant gas leaks up to 0.3 mm in size, without reacting with moisture and oxygen. 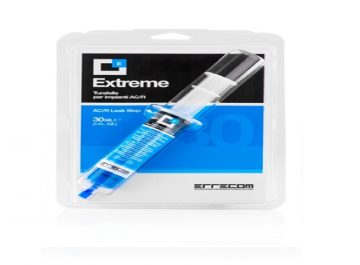 EXTREME is suitable for all refrigerant gases, including HVAC sectors – CFC, HFC and HCFC. BENEFITS Seals every leak in the system. Visible when exposed to every UV lights. Suitable for leaks up to 0.3 mm. Polymer-free! Safe for the compressor. Reduces compressor noise. Compatible with all refrigerant gases. EXTREME ULTRA is an ultimate Refrigerant Gas Leak sealant that solves all the problems related to small refrigerant gas leakages in AC/R systems. After more than 4 years of R&D efforts and thousand of tests, Errecom projected a 6ml dose leak stop that can work with all types of refrigerant gases included R32 & R1234yf, EXTREME ULTRA 6ml new formula treats A/C and Refrigeration systems up to 21KW (6 tons). EXTREME ULTRA locates the refrigerant gas leaks and permanently seals them, without reacting to moisture and oxygen. 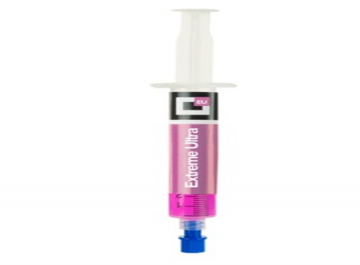 EXTREME ULTRA is a polymer-free solution that repairs leaks up to 0.3 mm. BENEFITS: • Only 6ml can treat A/C & Refrigeration Systems up to 21 KW (6 tons) . • New advanced formula • Less product in the system • Permanently seals refrigerant Gas leaks both in metal and rubber components of A/C and Refrigeration systems. • Safe to AC/R system components. • Harmless to recovery unit components. • Non reactive to humidity and air. • Polymer-free. • Visible to any UV lamp. • Not flammable, Not irritant, Safe for the operator. • Compatible with all refrigerant gases included R134a & R1234yf • Significantly reduces compressor noise. • Ideal for preventative maintenance. 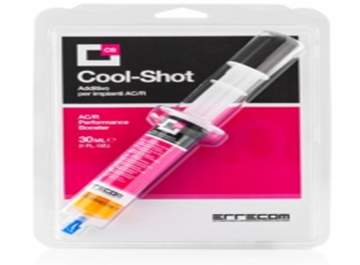 COOL-SHOT THE PERFORMANCE ENHANCER FOR AIR CONDITIONING AND REFRIGERATION. The ecological choice to revitalize your AC/R system. COOL-SHOT produces colder air, faster! It reduces CO2 emissions and extends the life of the AC/R system. When the air conditioner is in heat-pump mode it produces hotter air, up to 5°C (9°F) more. BENEFITS Brings back the effectiveness of the AC/R system to its original condition. Produces colder air – Up to 5°C (9°F) less. In heat-pump mode produces hotter air – Up to 5°C (9°F) more. Reduces CO2 emission. Reduces compressor vibration and noise. Thanks to its synthetic catalysts eliminates the Oil Fouling. ACID-TEST THE ACID TEST FOR AIR CONDITIONING AND REFRIGERATION SYSTEMS. ACID-TEST is a universal test to verify the presence of acid in every AC/R system. 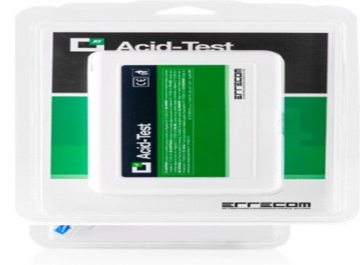 ACID-TEST is the professional choice for preventive maintenance and the precise diagnosis of the lubricant acidity. BENEFITS Quick and accurate test of the acid presence in the AC/R system. Universally formulated: suitable for every lubricant. Easy-to-use, immediate result. Eco-friendly and biodegradable. Non-toxic and non-flammable. Inexpensive: one box contains 4 tests. 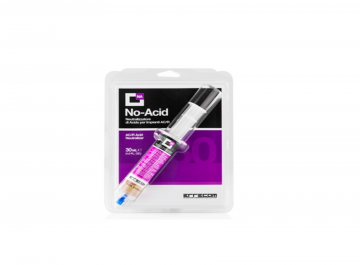 NO-ACID THE ACID NEUTRALIZER FOR AIR CONDITIONING AND REFRIGERATION SYSTEMS. The professional solution to completely eliminate acid residues from air conditioning and refrigeration systems. NO-ACID protects the compressor preventing its failure, it stabilizes the PH level of the lubricant and even neutralizes the acid in the recovery station. WARNING: a must-use after the replacement of an AC/R compressor. The fluorine included in every refrigerant gas bonds with the excess in moisture, forming fluoridric acid that damages the compressor and the other vulnerable parts of the system. BENEFITS Neutralizes the acid in the A/C system of every vehicle. Extends the life span of the compressor. Safe for the recovery unit. Prevents future acid formations. 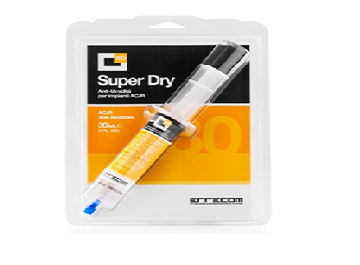 SUPER DRY THE ANTI-MOISTURE FOR AIR CONDITIONING AND REFRIGERATION SYSTEMS. Eliminates the moisture and prevents its return. In every AC/R system SUPER DRY esures an increase in the efficacy period of the dehydrating filter, thanks to his dehydrating additive it restores and preserves the stability of the compressor’s lubricant of the refrigeration and the air conditioning system, preventing the formation of moisture. BENEFITS Eliminates the moistures of the AC/R system. Methanol free! Safe for the gaskets and the compressor. Helps preventing the formation of acid. Extends the efficacy of the dehydrating filter. Suitable for all the HVAC&R refrigerant gases, including CFCs, HFCs, HCFCs. For automotive applications: for A/C systems with R134a & R1234yf. Suitable for all the compressor lubricants. ICE FREE THE DE-ICING ADDITIVE FOR AC/R SYSTEMS. Thanks to its de-icer efficacy ICE-FREE clears frozen refrigeration systems and prevents future freezing. 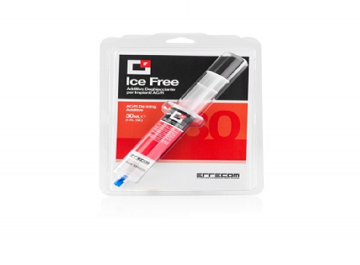 ICE-FREE is suited for systems of all sizes and is compatible with all refrigerants and all compressor lubricants. BENEFITS Frees frozen AC/R systems. Prevent freezing. Compatible with all refrigerants, including CFC, HFC and HCFC. Compatible with all lubricants. Methanol-free. Helps preventing the formation of acid. BRILLIANT HVAC&R THE UV LEAK DETECTOR DYE FOR A/C AND REFRIGERATION SYSTEMS. Locate refrigerant gas leaks with BRILLIANT HVAC&R: the leak detection dye visible with UV light. Universally suitable for every conditioning and refrigeration system. BENEFITS Tracks gas leaks in the system. Visible when exposed to every UV light. No solvents! Advice stickers included. TRACE BRILLIANT THE LEAK DETECTOR DYE FOR AIR CONDITIONING AND REFRIGERATION SYSTEMS. 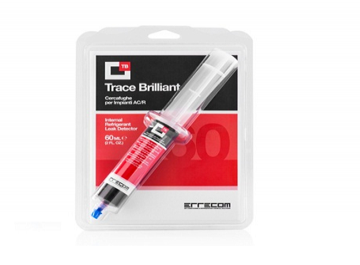 Locate refrigerant gas leaks with TRACE BRILLIANT: the high concentration red leak detection dye. 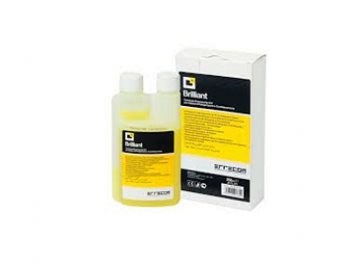 Formulated with POE lubricant, TRACE BRILLIANT is universally suitable for every lubricant and refrigerant gas, included but not limited to CFCs, HFCs and HCFCs. BENEFITS Every leak will be visible as a bright red mark. Visible through ice and frost. Solvent free! Advice stickers included. 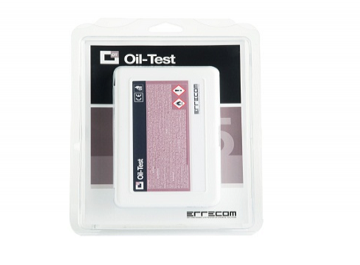 OIL-TEST is a new chemical solution that allows you to identify within seconds the type of lubricant contained in a Refrigeration or A/C system. In two short steps it is possible to identify Polyol ester (POE), Alkylenbenzene (ABZ) or Mineral Oil. OIL-TEST contains chemical elements that react in contact with the lubricant, changing its transparency, which identify the type of lubricant inside the refrigeration system. BENEFITS • Easy to use. • Minimise time and costs by eliminating the need for expensive laboratory tests. • Avoid expensive and widespread mistakes made by mixing POE and mineral lubricants. • Accurate results in seconds. 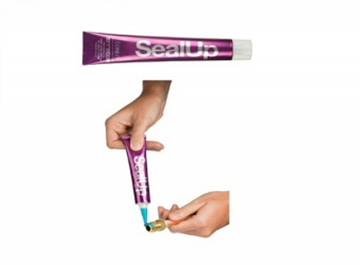 • Quick check of lubricant type prior to injecting additional lubricant. • Compatible with all refrigerants. • Works with all lubricants. • Two complete tests. • Not Recommended for Automotive or Mobile A/C or Refrigeration Systems. • The plastic box contains 2 TEST. 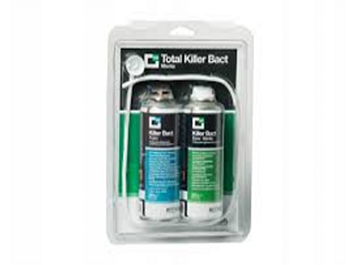 TOTAL CARE is a complete purifying treatment composed by two cans that will help you in cleaning and refreshing the vehicles evaporator, splits, fan coils as well as rooms and cockpits. Once the treatment has been proceeded, TOTAL CARE will leave a pleasant fragrance of cleanliness. 200 ml (6.8 FL.OZ.) aerosol cans can be used in every kind of vehicles and even to treat rooms up to 30Mq, with air conditioners up to 24.000 Btu/H (6 KW – 2 TONS). 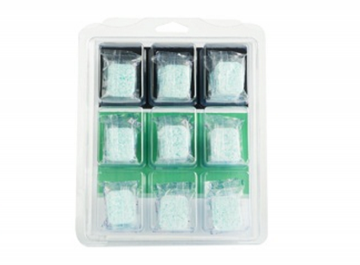 Clamshell including: • Can of Evaporator Cleaner Foam – Foam Cleaner. • Can of Interior Purifier – Purifying Treatment for Interiors. • With 60 cm canula. KINO TABS is an effervescent tablet that diluted in 5 litres of water generates an alkaline cleaner for condensers, able to remove severe dirt. It is a UV lamp to locate refrigerant gas leaks. 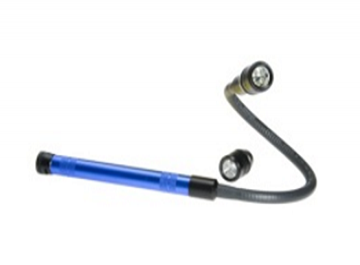 Inspect all A/C systems components; in the presence of leak detector dye, this will fluoresce. • Power supply: 3 batteries “C” of 1.5 V. • Goggles: 100% anti-UV protection. • LED wavelenght: 410-405 nm. • Aluminium body. • Clamshell. 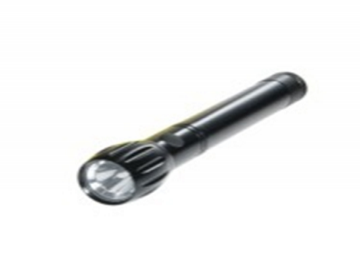 Torch Lampada is a UV lamp with two heads and flexible probe to locate refrigerant gas leaks even in the most difficult positions to light. 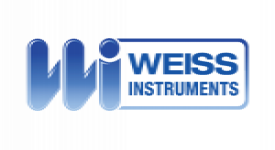 Screw the UV head to the body of the lamp, directly or through the probe; inspect all A/C systems components; in the presence of leak detector dye, this will fluoresce. • Power supply: 3 batteries “AA” of 1.5 V. • Goggles: 100% anti-UV protection. • LED wavelenght: 385-380 nm. • 5 white led head. • Aluminium body. • Clamshell.